Being a victim of identity theft and online fraud can cause you bad credit. 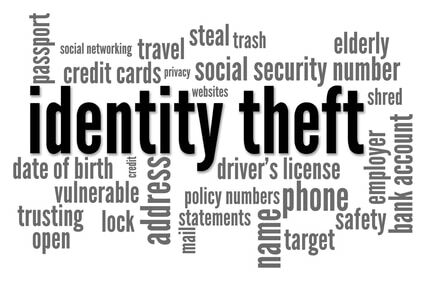 Many people who have been victimized by identity thieves were not aware until creditors began calling them for past due charges they never made. Scammers and identity thieves use different tactics to obtain your personal information and use it against you.What can you do protect yourself from fraud and bad credit? 1) Use anti-virus and firewall applications on your computer. Installing these software applications in your computer can protect your files and important data from hacked. Also, use a secured browser with built-in web security features to protect you while surfing the web. 2) NEVER write your account numbers on an unsecured place. Do not write important numbers such as your bank account, Social Security Number, Driver’s License, pin codes in sheets of paper that can easily get misplaced.If you must write them to help you remember them, use a separate diary or notebook and keep it on a secure drawer in your home. 3) Do not put all your important IDs and credit cards in your wallet. Bring only the credit cards or the IDs you need. In case, your wallet gets stolen, notify your credit cards issuer right away. 4) Check your credit report on a regular basis Getting a copy of your credit report at least twice a year will enable you to personally check your report for any unauthorized charges. If there are, be sure to inform your creditors and three major credit bureaus (Equifax, Experian, TransUnion) right away. 5.) Shred all important documents before putting them in the trash. Yes, identity thieves also look in trash bins for any piece of information they can find. Don’t just throw your receipts, past billing statements, old cards, old IDs and other important documents in the trash. Be sure they’re shredded first before hitting the trash bin. 6) Do not give your Social Security Number. Some business establishments require their customers to give their Social Security Number for verification purposes.If this is the case, explain your view about identity theft and ask if you can provide other forms of verification.Make sure that the business has a Security Policy to protect its customers.If they don’t have a Security Policy, take your business somewhere else. 7) If your credit card statements are delayed, call your bank immediately. In some cases, identity thieves call the bank and ask for a change of address to prevent you from getting updates on your account. If your credit card bills doesn’t reach you in time, inform your bank your right away. 8) Be extra careful when using the Automated Teller Machine. Whenever you’re using the ATM, be sure that no one’s looking over your shoulder. This may sound obvious but most identity thieves still use this technique to steal information. 9) Never let your credit card out of sight.If you’re using your card in a department store or in a restaurant, never let your card out of your sight.When dining out, volunteer to take your card to the cashier counter instead of just handing it over to the waiter. 10) Do not give your personal information to anyone over the phone or through the e-mail. You may receive phone calls or e-mail asking you to provide your account number for “confirmation” but never give out anything.Remember that banks do not solicit important information over the phone or e-mail.